Had to get out today...it had been weeks (maybe more than a month since the last time I went fishing). Fatigued from hours of flipping through the pages of the Bass Pro, Orvis, & Cabela's catalogs over those said weeks, I decided last week that the first day over 40 degrees (that didn't involve rain), I'd get out and get a line wet. That just so happened to be today, New Year's Day. Went over to the Stony Creek in Norristown about 2PM today. Figured it would be a good time because the Flyers were playing in the NHL Winter Classic and Penn State was in the Capital One Bowl, and I'm not really a fan of either, so that might give other anglers a reason not to be out. When I got there, there were a lot of folks already fishing. Luckily, they seemed to all be at the dam and the bridges, and all of the water in-between was traffic free - so that's where I fished. 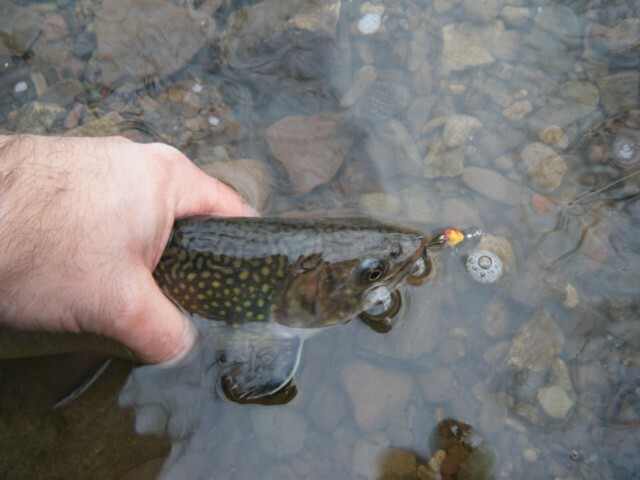 Took the spinning gear out first - using Wyld Edge baby bezerkers - and got into some brookies in a hurry. 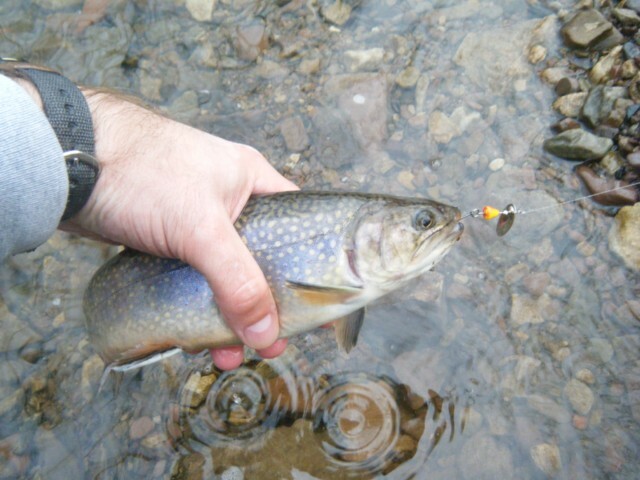 After getting my fill on the spinning gear, I switched over to my Tenkara fly rod armed with a Woolly Bugger and landed two more (& lost two more). I decided to pack up and head home around 4:30PM, it was starting to get darker & colder, two things I have zero tolerance for. In all, it was a good day. 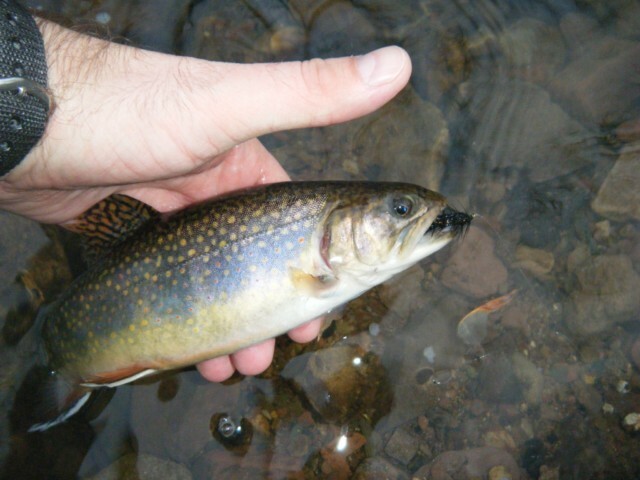 Yes, all the trout were stockies (no bonus points for "wild" fish), but I can live with that. Can't start the year off any better than that! I don't think we hit 10 today = COLD! Pretty fish and a good start to fishing the new year. Enjoyed the sound of the creek water in the video. With everything frozen out my way, I needed that sound today. Right on! If we EVER get near 30 degrees here, which probably won't be until March, with my luck, I hope to join the ranks of you that have caught a fish this year already! Hope you catch more than you can count this year! You're killing me here! LOL Nice start to the new year. I've never seen those bezerkers before. Interesting spinners. Not a bad start to 2010. Those of you in the North and East that are freezing your, you know what's off, it'll be 55 where I'll be out on the lake today in Sunny California. You are off to a good start for 2010 and I loved that short video, pretty cool.